Looking behind the scenes of water research. 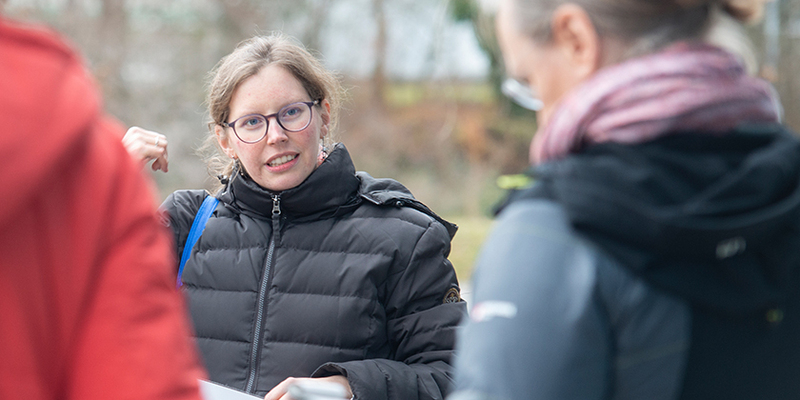 The Swiss Institute of Aquatic Science and Technology Eawag and its current projects in the various research fields are presented during our guided tours in Dübendorf and Kastanienbaum. At Eawag in Dübendorf, the participant will gain a deeper insight into the functioning of Forum Chriesbach, an innovative building of global interest, which distinguishes itself by its pioneering approach to water. The latest research findings of Eawag are transferred here into practice. During a tour at Eawag Kastanienbaum research projects are presented in the fields of Surface Waters and Fish Ecology & Evolution. The guided tours in Dübendorf and Kastanienbaum are free of charge. Individual tours for groups of 12 persons or more will be organised as far as possible. Please contact us if you have any further questions.